AICPA - American Institute of Certified Public Accounts. Congress.org - Excellent coverage of all areas of Congress. Crown Ministries - Larry Burkett's page of sound financial advice based on biblical principles. Essential Link To Taxes - Online resources for tax information. Federal tax code online - The complete code with embedded hyperlinks for quick searches and a WAIS based full-text search engine. FedWorld - An excellent source for government information, documents, and files on taxes and just about anything else related to the federal government. FTA - Federation of Tax Administrators: A non-profit association representing the major state tax collection agencies. InvestorGuide - An excellent guide to investing on the Web. IRS - The Internal Revenue Service's very own home page. NACTP - The National Association of Computerized Tax Processors. NAEA - National Association of Enrolled Agents. 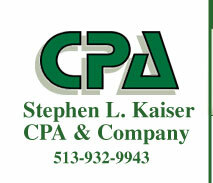 NATP - The National Association of Tax Professionals. Small Business Advancement National Center - Resources & information for small business owners. Small Business Taxes & Management - The WWW version of The Small Business Tax Review. Tax and management guidance for small and medium sized businesses since 1980. Social Security Administration online - Home page for the SSA. Information on benefits, services, etc. Taxing Subjects - News for the Tax Professional. The Tax Prophet - An extensive collection of articles on a broad range of tax subjects. ThirdAge.com - Financial & tax information & much more for older adults. Thomas Legislative Information - The latest legislative news and information from both the house and senate. U. S. Code - The complete code from the House of Representatives. U. S. House of Representatives - Information regarding legislation, members, committee, etc.